One of the Festival Exhibitions this year is a series of sculptures by Susan Bacon, which will be in the Fermoy Gallery foyer from Monday 18 - Saturday 30 July. 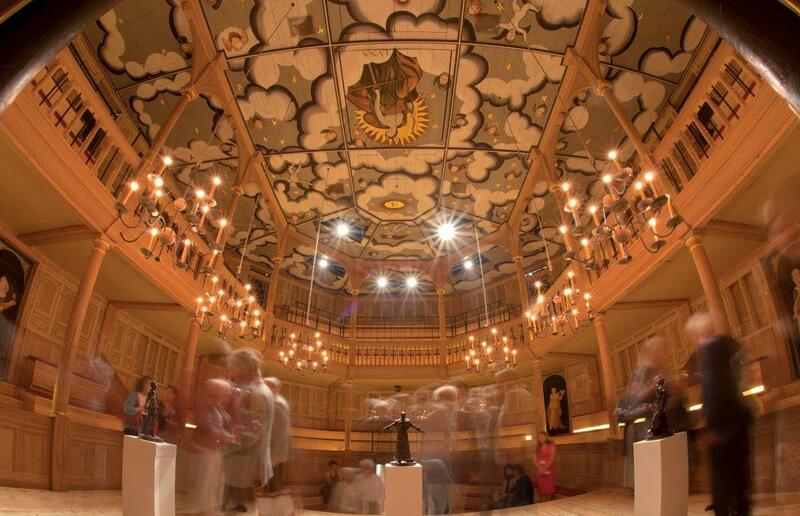 Originally part of The Globe Sculpture Project , they were on display last year at Shakespeare's Globe (pictured). The King's Lynn Festival are seeking volunteers to steward this free exhibition. If you can spare a couple of hours or more during 18-30 July and would like to help, please contact the Festival Office on 01553 767557. "When first suggested as an idea to use drama and the Globe as extra materials for sculpture I had no idea that it would turn into such a fascinating journey. Character and Drama have been my materials in this project, and using the 'immaterial' of expression and personality, I have attempted to transfer each character and their frailties into sculptural form. To me this challenge of transforming some immediacy of the energy and life freshly into sculpture was inspiring and extraordinary......we come away from the theatre with the presence of the character very much with us; I have tried in some small way, to create this energy into the liveliness of bronze. Susan Bacon studied sculpture at City and Guilds School of Art, and drawing at the Royal Academy. Her work is primarily involved in the movement, action and life of theatre/music and dance. She teaches Drawing from the Imagination at the Royal Drawing School.